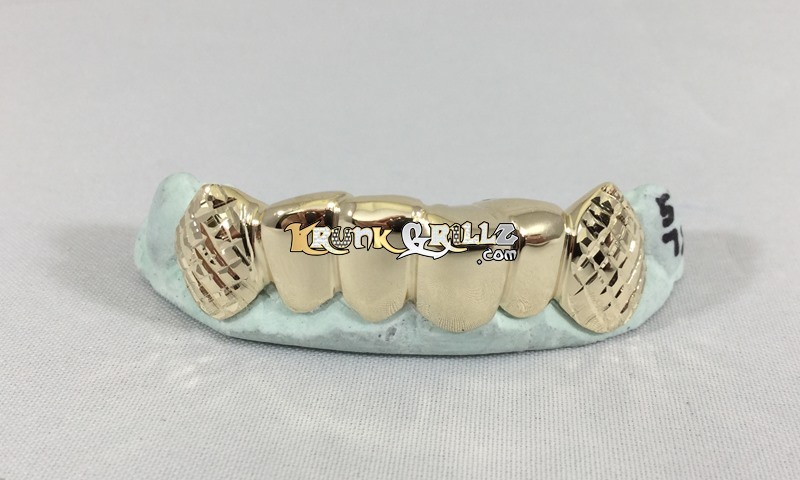 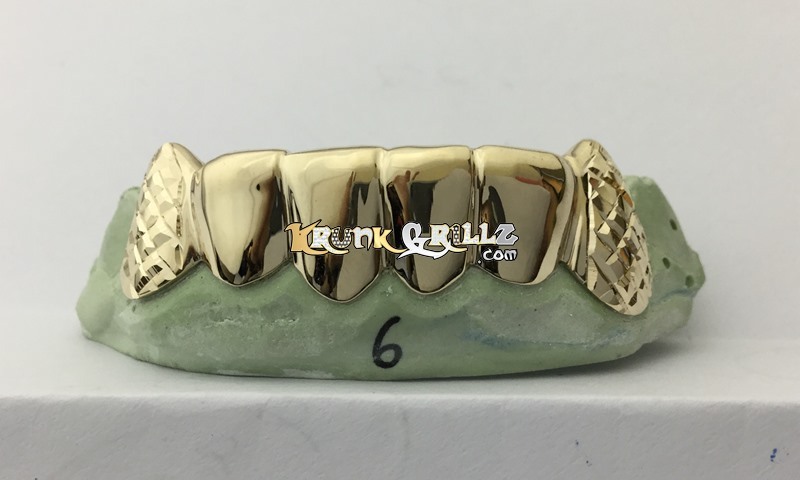 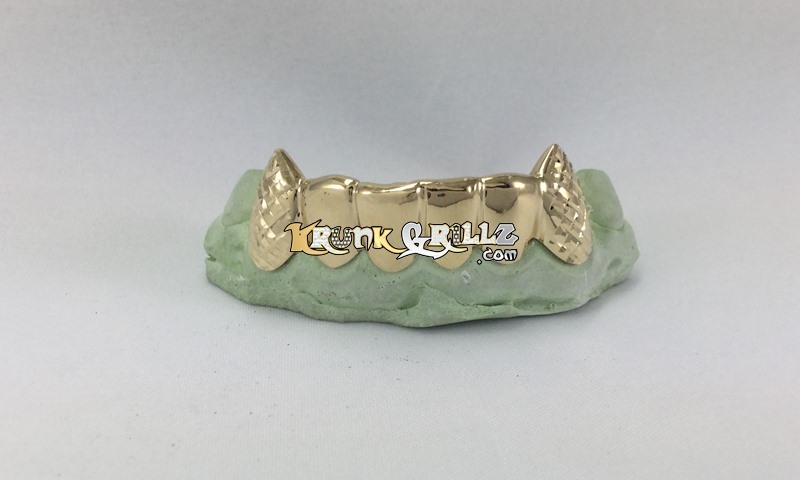 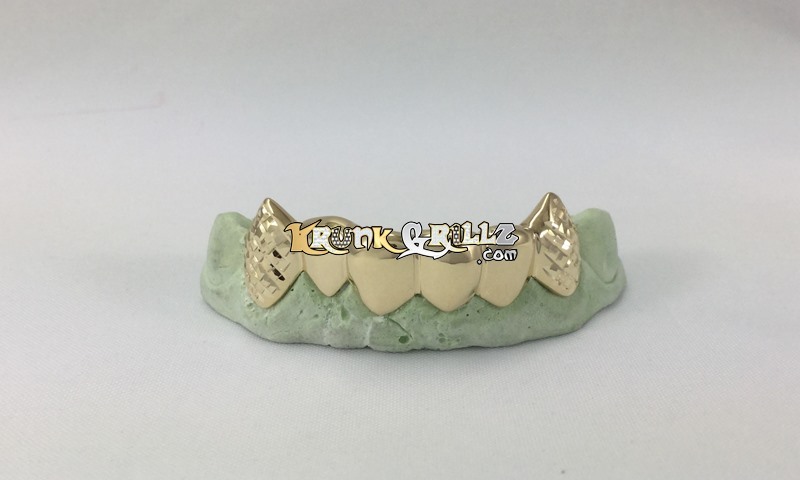 Custom fit grillz shown in 18k yellow gold. 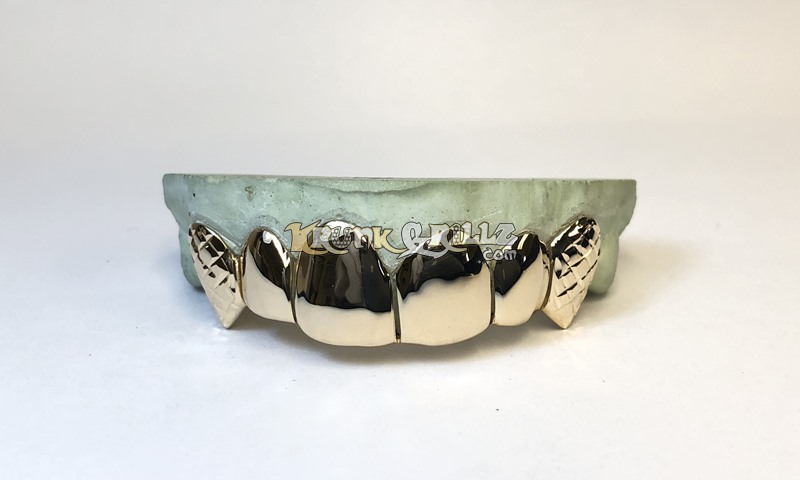 Features medium length diamond cut fangs. 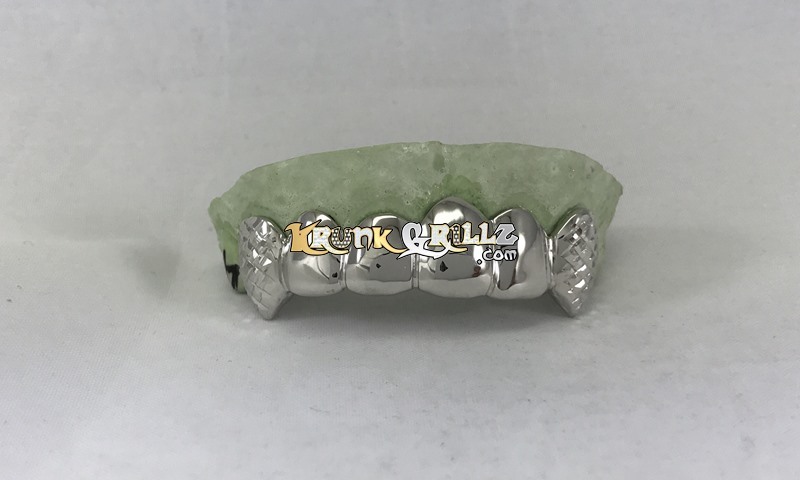 You can get long fangs if you add the extended fangs option.